Obituary for Filomena A. (Colagiovanni) Buonanni | Nardolillo Funeral Home, Inc.
Age 85, of Cranston, passed away on Tuesday, April 9, 2019 at St. Antoine Residence in North Smithfield. She was the beloved wife of the late Michael Buonanni. Born in Providence, Filomena was a daughter of the late Giovanni and Angela (DiChiro) Colagiovanni. She was a 1954 graduate of the University of Rhode Island, and member of the Alpha Xi Delta Sorority. Filomena was a bookkeeper for Lincoln Packing, Co. in Cranston for many years, and past president of the Western Cranston Garden Club. Filomena is survived by her loving children Susan Izzo and her husband Paul of Greenville, Peter Buonanni of Charlestown, and Marisa Ricciardi and her husband Steven of Greenville. Filomena was the cherished grandmother of Michael and Samantha Izzo, Stefanie Izzo, Nicholas and Eric Ricciardi, and Michael Buonanni, and great grandmother of Alexandra and Abigail Izzo. She was the dear sister of Lucy and Joseph Colagiovanni, and sister-in-law of Gloria and Robert Benton. Filomena was the sister of the late Vincent Colagiovanni. Beloved sister-in-law of the late Corinne and Rose Marie Colagiovanni and Guido and Marie Gelsomino. Loving aunt of the late John Colagiovanni. 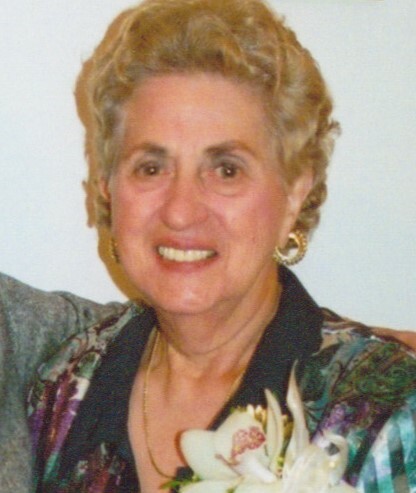 Filomena held dear to her many nieces, nephews and godchildren, and was a loving friend to many-from childhood through college and later in life. Her funeral will be held from the NARDOLILLO FUNERAL HOME & Crematory, 1278 Park Avenue, Cranston on Monday at 9 a.m. followed by a Mass of Christian Burial at St. Mary’s Church, Cranston at 10 a.m. VISITING HOURS will be on Sunday from 5-8 p.m. Burial will take place in St. Ann Cemetery. In lieu of flowers, memorial contributions may be made to: Hope Alzheimer’s Center, 25 Brayton Avenue, Cranston 02920.